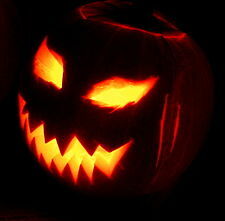 Everyone knows about Halloween, but not everyone knows why we celebrate Halloween. Well kids, gather round, because i’m about to tell you. Many years ago, nobody celebrated Halloween. October 31st was just a regular day like any other. However, an evil wizard had been up to evil tricks and opened a portal to a terrifying nightmare dimension and monsters poured in and started attacking and eating people. The people went to the king and begged for him to send his soldiers to protect them, but the king was a selfish man and just locked up his gates and stationed his soldiers around the castle to keep both monsters and commoners out. Halloween Tim was, to all appearances, an ordinary man, but he held within his chest a pure heart and a powerful will. He kicked the Devil in the face, then tore up the contract and ate it. His stomach absorbed the mystical power that the contract was infused with, and he became more powerful than any man before or since. He gathered up a militia and led the people across the country, slaying the monsters and restoring hope and joy to the land. His campaign led him to the evil wizard’s tower itself. Here, Halloween Tim left his followers outside, and went in to fight the wizard one-on-one. Nobody knows for sure what happened inside the tower, but it is known that Tim was victorious, and was able to close the portal. After that, Tim led his people to the gates of the king’s castle. The king wanted to make him a Duke for his services, but instead the people overthrew the king and established a democracy. Halloween Tim was elected the first president and served 34 terms, ruling fairly until the day he died. Today, the legend of Halloween Tim lives on. Every group of friends or family democratically elects one person to be “Halloween Tim” that year and that person gets to judge their costumes and hand out candy and prizes. It’s symbolic, you see, of Tim handing out violence and justice to the monsters that attacked his land. If you liked this story, you might also like my horror/humor game, Pleasantville by Night.